Flooring often gets treated like the stepchild during the selection process in a health club or fitness facility. Flooring is always needed but there is hardly ever enough research done before making the purchase. Ultimately, there should be more importance placed on the selection of the floor to not only enhance the aesthetics but to improve the performance for the club and its members. 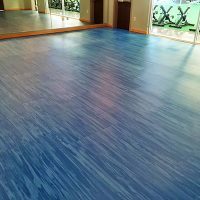 The most important things to consider when choosing your flooring are aesthetics, type of use, cost, traffic, type of equipment, and clientele. The use of carpet can hide a variety of problems within the club, such as perspiration that can cause mold and mildew. Carpet can also harbor staph bacteria and MRSA, which can be very harmful to members. Dirt from shoes can penetrate deep into the carpet without being detected. 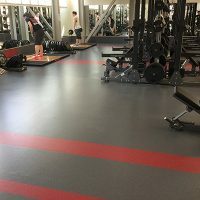 Although carpet can be an inexpensive purchase, it may not always be the best choice of flooring for your club or fitness facility. The use of ceramic in locker rooms can ultimately cause members to slip when water pools on the surface. Keeping your members safe throughout your club or facility should be at the top of your list when choosing a floor. Incorporating wet area flooring into your locker room or pool area is always a safe option that is easy to install. The use of products intended for weight rooms but used in Group X rooms do not provide the proper shock absorption and energy return to the participants engaged in the activities being performed. Kiefer offers the perfect flooring solution for Group X rooms called FitZone Multi. Within our FitZone brand you will find flooring solutions for cardio areas, free weight areas, studios and much more. The use of products that help enhance indoor air quality within a facility should also be highly considered. Using products that are environmentally friendly is always a good thing. 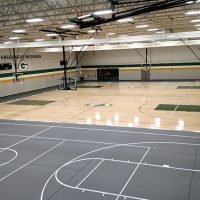 For instance our line of Mondo athletic flooring is GreenGold certified, which means it is certified for low chemical emissions. Mondo flooring is also 100% recyclable. 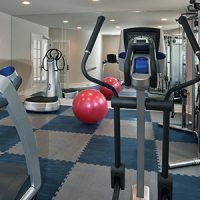 Make sure that all options are well thought out when selecting the right flooring for a health club or fitness center. Doing the research on the different types of flooring out there will help you to choose the right floor for each type of application. Cindy Rittenberry is the Director of Catalog/Inside Sales at Kiefer USA. 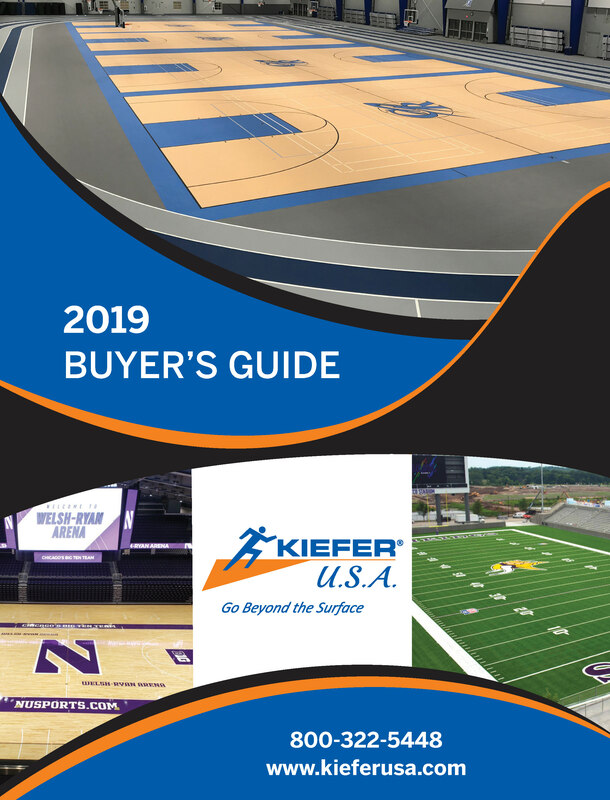 For more information call 800-322-5448 or email cindy@kieferusa.com. When people think about installing a home gym, they usually think about weights, bikes, and other equipment. It’s equally important to give serious thought to the kind of home gym flooring that’s best for your situation. Depending on your home and preferred type of exercise, there are many different flooring options. Here are 4 options, with the benefits and drawbacks of each. Indoor air quality (IAQ) in schools, in particular, is extremely important for the health and wellness of children. And one of the best ways to reduce the emission of VOCs in school air is to choose safe flooring that has a water-based, non-toxic top coat with low volatile organic compounds.